We can use our thoughts — not in order to make decisions, or to take positions, but in order to bring into consciousness the way things are, the way of our own existence on planet Earth as human beings. Using thoughtful reflection helps us to be intuitive, to observe and to accept. If we don’t develop this ability, we end up making very harsh value judgements about ourselves and the world. This makes us insensitive and harsh, and we become unable to understand things. We get the feeling that there’s nothing we can do, and we feel depressed and helpless. In the modern Western world, we seem to have developed to a very high level this ability to see what is wrong. And it’s turning against us. We are destroying ourselves. We are unable to enjoy our lives, or experience joy. From reading the newspapers, one gets the impression that it’s too late to do anything — we’ve gone too far! We hear the harsh, hissing sounds of despair, fear and anxiety. We may believe there’s something we should do — we should change something, we should get rid of something, we should create something new. Maybe we should have a revolution? The spiritual path, on the other hand, is noticing and accepting the way it is, even if it isn’t very good. If one feels despair, one looks at this feeling. The feeling is seen as an object, as a mood of the mind, as something that arises in consciousness. And making a feeling into an object is the transcendence of it. There is no suppression or rejection of anything felt, there is no identifying, commenting, or making judgements on a personal level. One accepts — does not necessarily approve — but accepts the way one is feeling. And in that perspective, the spiritual path is developed. Our society is based on becoming. I was brought up to become something. We were always looking ahead into the future, always thinking there was something we must do. ‘You’re not good enough the way you are. And some day, hopefully, you’ll become what you think you should be!’ But there was the fear that one couldn’t do it. And in that state of uncertainty, any failure or rejection was taken as proof of one’s hopelessness. That is the conditioning of the mind. When I was a child, someone asked me, ‘Well, how do you justify your existence?’ It had never occurred to me before, that I needed to! As a child I didn’t feel I had to justify my existence. But many people do feel that, don’t they? How hard do you work? How much money do you have? How independent are you? How well educated are you? There is the doubt, maybe, that you’re not complete, not whole, not perfect. Pain, disease, fear, desire, depression, despair, worry—when we allow ourselves to feel these things fully, then we are not caught in the conditions that cause suffering; we are actually transcending suffering. In our willingness to feel and witness the way things are, in those moments where there is pure awareness and acceptance, there is no suffering. Suffering is what we create out of our own ignorance. Existence is something that can strengthen us, rather than weaken us. We need to put ourselves into perspective; we need to see ourselves in terms of the mass as well as in terms of the individual. When we take life on the extreme level of ‘me’ as a person, we forget the common problem that we share with the rest of humanity. I had a birthday recently — old age is becoming increasingly apparent. 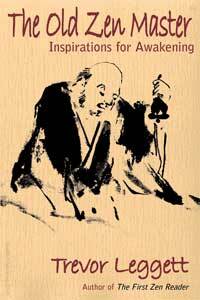 Having been a monk for so long, I quite enjoy the ageing process; it isn’t something that offends, or frightens me. But if I looked at it with a mind that only values youth and the qualities of youth, then I would feel depressed by what is happening. I would think, ‘Oh, it’s just going to get worse and worse.’ It does, doesn’t it? We get older and older; we don’t get younger and younger. When we take this personally, we may think, ‘It’s not fair! I don’t want this to happen.’ But if we look at it as a common bond between all human beings, then we see that this is what life is — everybody gets old. And, somehow, when we realize that everyone is doing the same thing, then the concrete views of oneself don’t seem very important; we begin to realize that this is part of life’s experience, this is nature, this is the way it’s supposed to be. It isn’t that life is playing a joke on me, or trying to make my life unbearable; it’s happening to everyone. Some people get cancer, or one of these diseases that everybody dreads. They say, ‘Why me?’ One thinks that maybe someone else gets these things, but, hopefully, not me. But these are possibilities for us all. These diseases are within our spectrum of life’s experiences. Being born as a human being means that these things are possible. We say, “Why does this happen? It’s not fair!’ Well, these things happen because we are born. In this human state anything is possible. We could have extremely good health from day one and live a hundred years without disease. That is unlikely, but it could happen. Or, we could be born with all kinds of weaknesses and disabilities. Most of us have both good health and sickness. 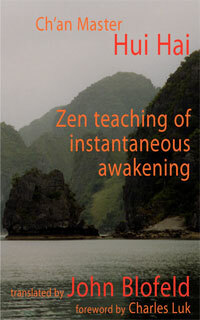 Reflecting on the way it is brings into consciousness what a lifespan as a human being involves, the possibilities. In monastic life we reflect on this almost every day. We think, ‘I am of the nature to age. I have not gone beyond ageing. I am of the nature to sicken. I have not gone beyond sickness. I am of the nature to die. I have not gone beyond dying.’ This helps us to look at our lives in a reflective way, instead of in a conditioned way of liking, disliking, wanting, and not wanting. 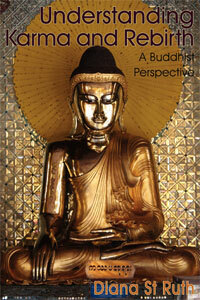 First published in the May 1994 Buddhism Now. It is so interesting to me that just when I am struggling with something, someone or something brings me the opportunity for insight I seek. 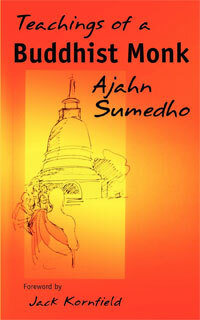 Such it was when I read this post by Ajahn Sumedho. I have such gratitude that I can simply accept the process that I am experiencing in this transitory human life, without judgment, without urgency or anxiety. This life is difficult, and seemingly more so for some than for others. But it ends the same for us all eventually. Namaste. Recently got into the habit of saying, whenever I notice myself in a mirror, well there it is, I really do not know what, but at the moment it is there, and if I see differently, well, that will be that, but meanwhile it is this that is. So what. One of the best I have come across. Thanks. Understand, getting older, sickness, and feeble. When one realize this natural process it helps to look at our lives in a reflective way. How true. NOT SURE I GET THE PICTURE THAT IS SHOWN? ON WINDOW OPEN? Inspiring message to all human beings. Sadhu! Very well said- Thought provoking and inspiring!